A Split Personality! 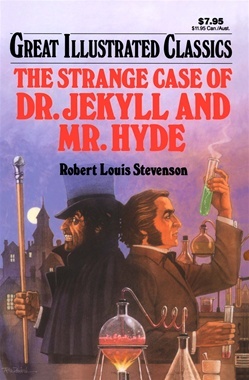 Kindly, respected Dr. Henry Jekyll is convinced that all men have two personalities lurking within them. He concocts a drug to separate one man into two personalities and tests it on himself. Enter Mr. Hyde- Jekyll's murderous alter ego - as depraved and vicious as Jekyll is virtuous and kindly. Robert Louis Stevensons' shocking thriller explores the battle between good and evil within ourselves. Can Jekyll overcome Hyde - or will he become Hyde's next victim?